Back at CES, MakerBot announced three new 3D printers: one small, one huge, and one that’s about the same size as their previous models (albeit with a bunch of new tricks up its sleeve). You couldn’t actually buy any of them, though. You could pre-order them, sure — but it wasn’t quite clear when you’d actually get it. If you ordered one of those mid-sized models: Surprise! They’ve just started shipping. 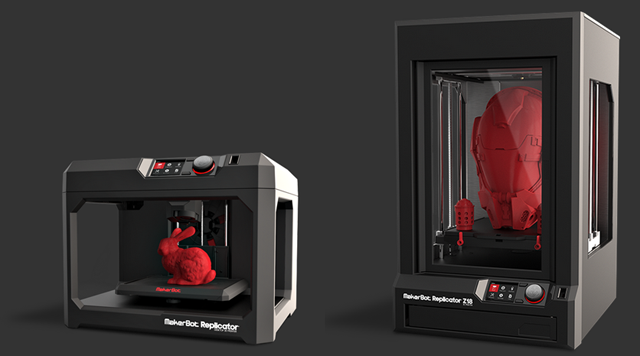 Meanwhile, MakerBot has also just started taking pre-orders for the aforementioned super-sized model, the Replicator Z18, with its max build volume (read: the largest object you can 3D print) of 12”x12”x18”. For comparison’s sake: the build volume on the mid-sized model is 9.9”x7.8”x5.9”, and the itty-bitty Replicator Mini’s build volume comes in at 3.9×3.9x.4.9. Unfortunately — but, as is to be expected — the Z18’s price scaled up along with its build volume. At $6,499, it’s over twice the price of anything else MakerBot sells. MakerBot says the Z18 should start shipping sometime this spring — the same time window they gave for the recently launched pre-orders of the fun-sized Minis. 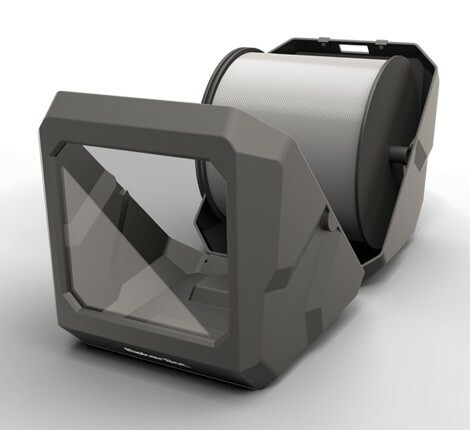 Curiously, MakerBot also seems to be taking the Z18’s launch as an opportunity to venture into a new space: 3D printing accessories. Because the Z18 weighs a solid 90+ pounds and no one wants to lug that around, they’ve built what they call the “MakerBot Cart” specifically for it. It puts the Z18 at a convenient height and provides casters to help you move it around more easily… but at $1,250, you… might want to just find your Z18 a nice, permanent home. Oh, and because the Z18 uses massive, spools of plastic (bigger build volume = bigger printed objects = more plastic used = bigger spools. Most spools used in 3d printing are sold with 1 or 2lbs of filament. Z18’s spools are 10lbs. ), they’ve also built custom cases just for holding your Z18 filament and feeding it into the Z18. The price, again, might come with a bit of sticker shock: one case, albeit one with 10lbs of filament included, will run you $750. Yeaaah, I’m getting the feeling that the Z18 might be a bit out of my price range.